This will be one of the toughest days of the tour. Cycling out of Moung Lay with awesome scenery. Small villages everywhere and the first 10 km is easy cycling on flat road. The next 15 km it is going up. At km 25 you reach the top of todays tour at 1020 masl. 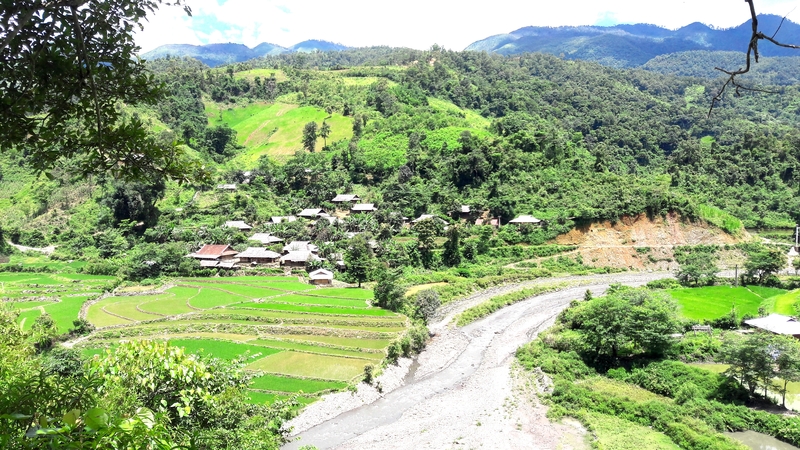 The next 15 km downhill to Muong Cha. Again the scenery is spectacular. Hmong villages and nice rice fields everywhere. The next km are rolling more down than up till around km 73. Then you have the last climb of today for around 6 to7 km. At km 80 the downhill starts. 5km downhill and the rest is easy cycling into Dien Bien. At km mark 0 turn left and go over the bridge. Next street right has some hotels, guesthouses and some great food places. 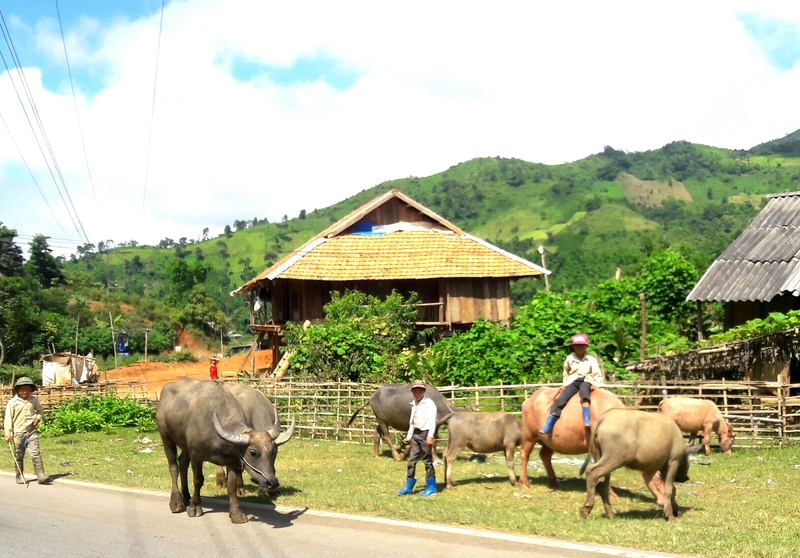 This entry was posted in Vietnam and tagged biking, BugoyBikers, cycling, Hmong Village, Vietnam. Bookmark the permalink.